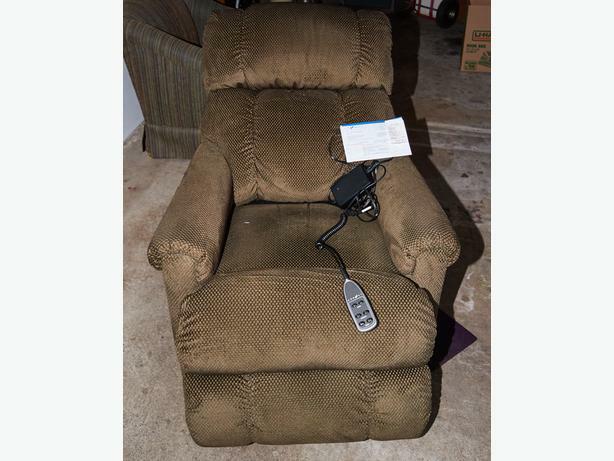 This is a La Z Boy motorized recliner in excellent condition. I still have the original bill of sale which states a 7-year electrical warranty. The bill was dated 4 years ago. As this is part of an estate sale, I can only deal in-person and in cash (no trades). All items are sold "as-is" with no warranty or returns. All items are as pictured. I can be contacted via email or by telephone.